Improving the efficiency of the steam locomotive by using waste heat to raise the temperature of the boiler feedwater was hardly a new idea. Joseph Beattie, locomotive engineer of the London & South Western Railway, tried something of the sort as early as the 1850s. His rather complicated locomotives were considered more economical than any of their contemporaries on other railways. Yet, in a country apparently blessed with limitless supplies of cheap, high quality, steam coal the additional expense and maintenance seemed hardly worth the effort. Beattie’s successor-but-one, William Adams, had all the feedwater heaters removed in the 1880s. two-cylinder and four-cylinder classes were brought into use, culminating with the imposing Gruppo 476 (2-8-2) Mikados of 1922. A different Italian approach to fuel economy was the development of the preheater. In passing it should be mentioned the distinction between a feedwater heater and a preheater is somewhat jesuitical. The technical writer Brian Reed pointed out the difference between the smokebox feedwater heater used in Germany and the USA and the Crosti version was merely one of size. The Franco-Crosti company preferred the term “preheater”, and it is what we shall use here. The principle of the preheater was relatively straightforward. Cold water from the tender passed first into a drum or drums where it was heated by waste gases from the smokebox passing in the opposite direction. It has been described as a contra-flow system in which the coldest water was heated by the coldest gases at the remote end of the drum, while at the smokebox end the hottest water was heated by the hottest gases. The drum was not a boiler as such (it didn’t “boil”), but internally resembled a boiler in that the gases travelled through a series of tubes before being ejected to atmosphere by means of a set of blast pipes at the cab end of the boiler. The locomotive engineer Attilio Franco experimented with the concept of the preheater before the First World War, but it was not until 1932, while working with Belgian locomotive manufacturer Les Ateliers Métallurgiques Tubize, he was able to put his ideas into practice. 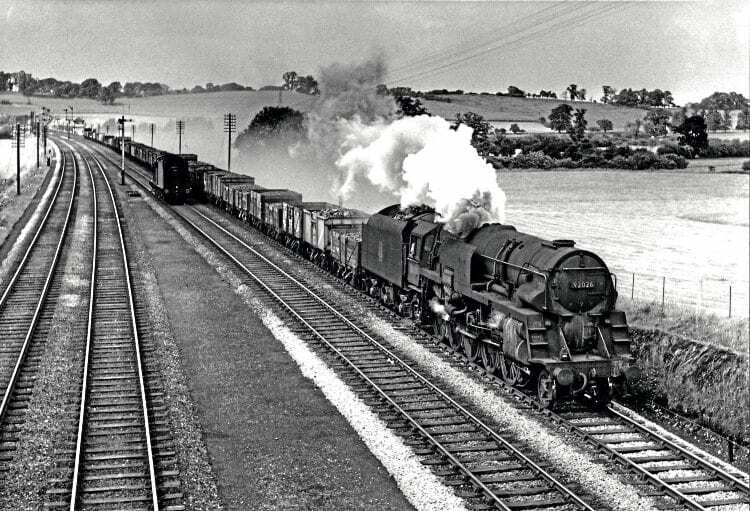 The outcome was one of the most unusual locomotives built in western Europe, an ingenious articulated 3,000hp triple-section tank engine, the centre section of which carried a pair of back-to-back boilers in the fashion of a modified Fairlie. The twin driving controls were also in the mid-section.